Maximo faked a foul to draw the DQ. 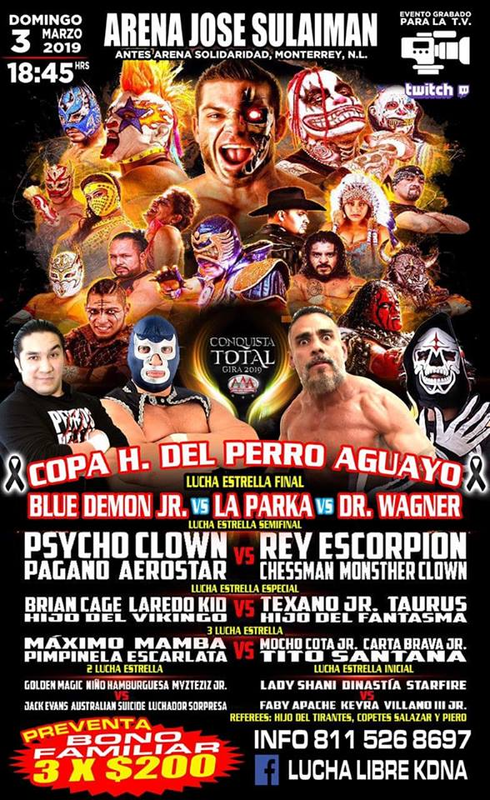 Daga's return to AAA, as a Perros del Mal with Kahn del Mal. 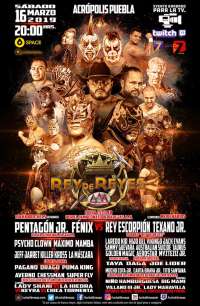 Sammy Guevera replaced Hijo del Fatnasma and pinned Laredo Kid after pulling his mask and landing a shooting star press. 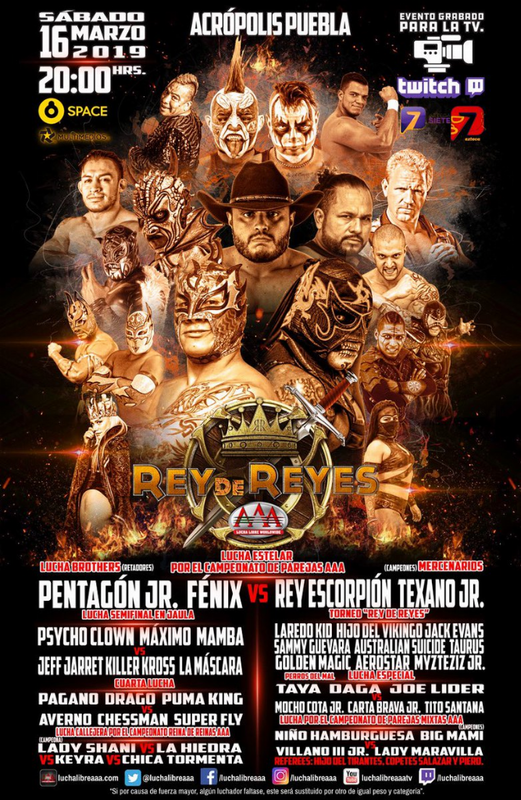 Post match included Australian Suicide, Jack Evans and Rey Escorpion attacking the tecnicos. 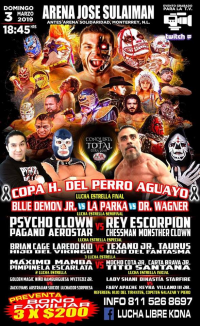 Rey Escorpion & Texano destroyed La Parka and Demon & Wagner largely wrestled by themselves. Demon (now tecnico) and Wagner (now rudo) switched sides randomly. 9:10. Hamburguesa pinned Villano III Jr. but disagreed with Mami over Maravilla. He carried Maravilla to the back after the match. 7th defense, 3rd on TV.